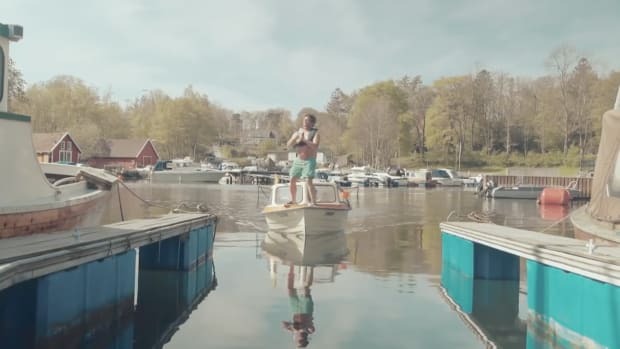 Clearly, the Swiss like the idea of solar-powered boating. 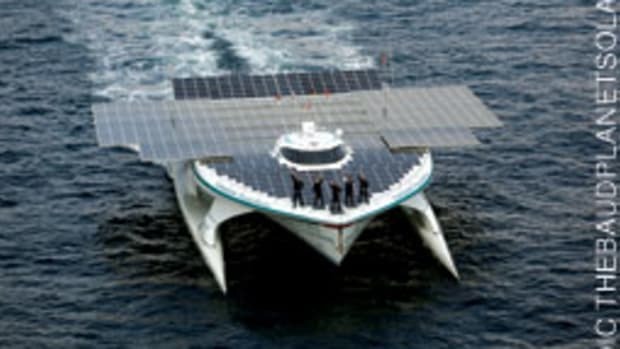 In 2012, Swiss explorer Raphaël Domjan launched the 102-foot MS Tûranor PlanetSolar, the largest solar-powered boat in the world, which in May 2012 became the first solar electric vehicle to ever circumnavigate the globe. 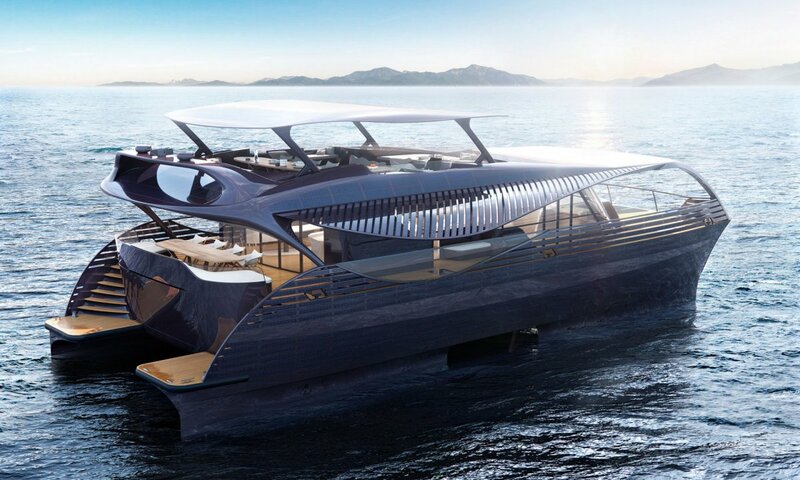 Now, another Swiss company called SolarImpact Yacht AG, has revealed the world’s first ocean-going solar super yacht design at the Cannes Yachting Festival. 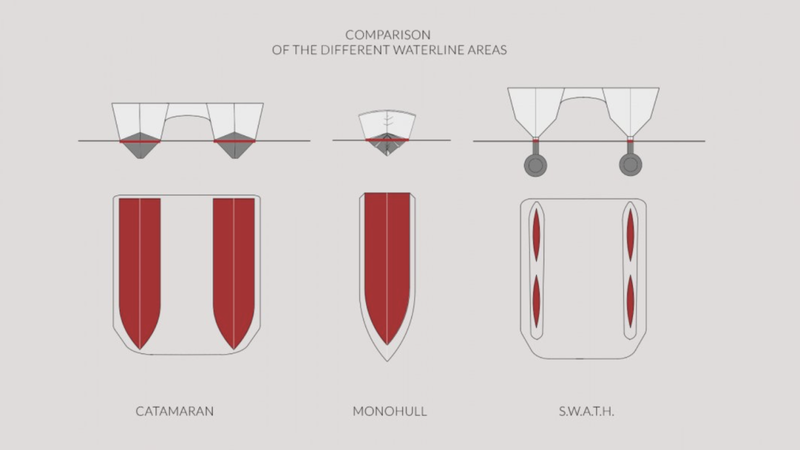 The vessel will be a 78-foot aluminum SWATH design that utilizes torpedo-shaped underwater floats that the company claims will minimize wave action and reduce seasickness. It will be able to carry ten passengers on three levels in luxurious surroundings and be operable by a single crewmember. 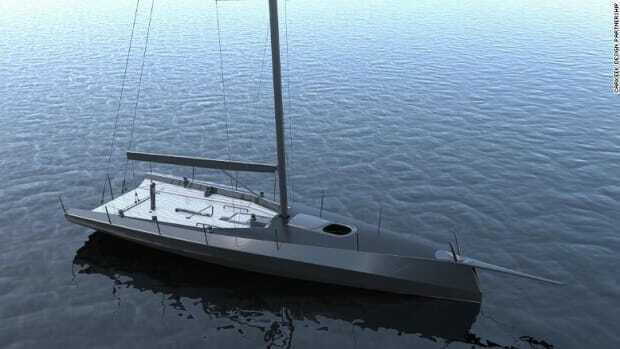 You can read more about it in this Daily Mail article or see more details at the SolarImpact Yacht website. 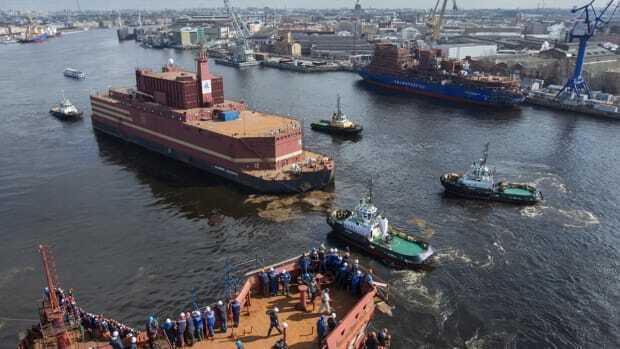 Launched on April 28 this year, Russia’s 474-foot long Akademik Lomonosovis the world’s first floating nuclear power plant. Capable of producing 70 megawatts of power, the ship is currently making its way across the Arctic Ocean to Eastern Russia.